We are proud to announce our second roll out of user interface updates coming in the next few days. This update focuses on improving the presentation of your patients and practitioners. Here is a list of what you can expect to see very soon! Quickly and easily view more information about your patients. View more information about a patient's SOAP notes at a glance, including the type of treatment and the practitioner who performed treatment. Also access important functions without having to open the SOAP note. 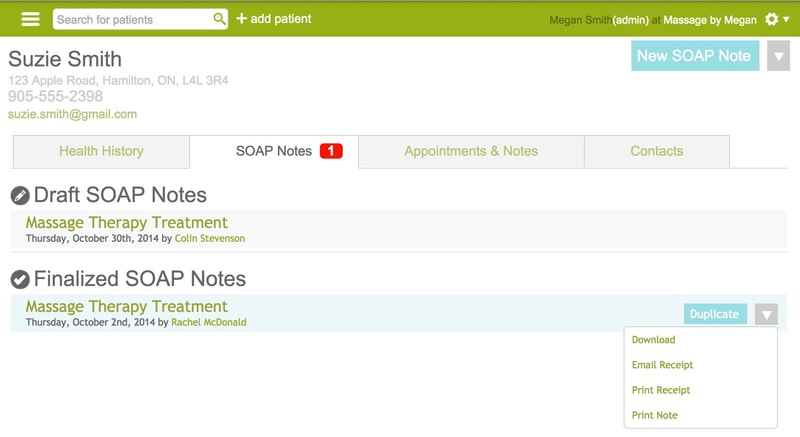 Quickly view a patient's appointments and previous notes on a single calendar. 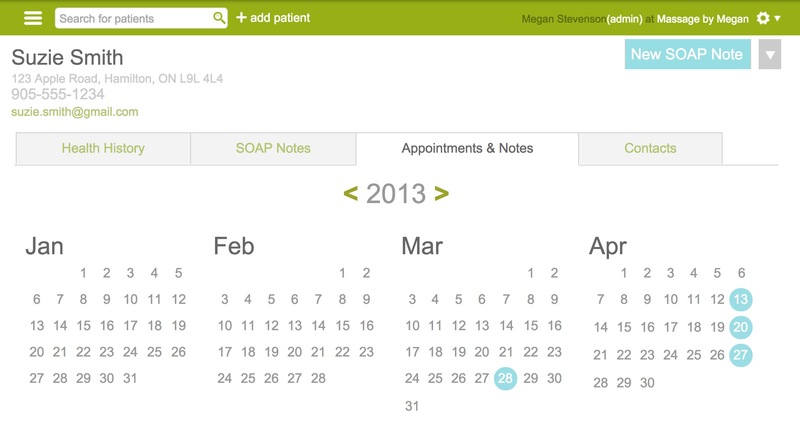 Quickly view a practitioner's appointments and previous notes on a single calendar.